The U.S. Department of Agriculture’s (USDA) Natural Resources Conservation Service (NRCS) in Texas announced Environmental Quality Incentives Program (EQIP) funding application deadlines. The first deadline is March 15, and the second EQIP funding application deadline is set for May 10. Applications are taken year around for NRCS programs, but deadlines are announced to rank and fund eligible conservation projects. Farmers and ranchers interested in signing up for the program should submit applications to their local USDA service center or if already a USDA client, online via Conservation Client Gateway. 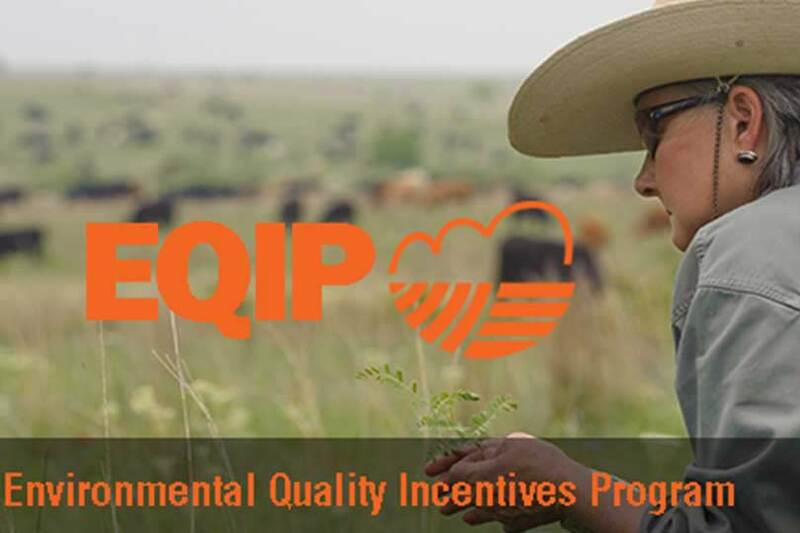 EQIP is a voluntary program that provides financial and technical assistance to farmers and ranchers. Technical assistance is provided without a fee from NRCS specialists to help landowners and land managers plan and implement conservation practices to help meet land management goals, address natural resource concerns and improve soil, water, plant, animal, air and related resources on agricultural land and non-industrial private forestland. For additional information, visit the NRCS Texas website. Applications for EQIP are accepted on a continuous basis. Farmers and ranchers interested in EQIP can contact their local USDA service center or visit www.tx.nrcs.usda.gov.